Hideaways at Red Hill offers the ultimate indulgence for those wanting to relax and get away. Perfect for romantic escapes, honeymoons or just a break, whatever the occasion you will be delighted. There are two cottages to choose from, both with private courtyard, open gas fire and spa ensuite, and all just a short walk to the Long Table, Epicurean, Cellar & Pantry, Endota Spa and Red Hill Bakery. Both cottages feature a queen size bed with ensuite and large corner spa upstairs. Downstairs is a lounge room with a Victorian-style gas open fireplace, TV, DVD, CD player and kitchenette, leading out into a private courtyard. 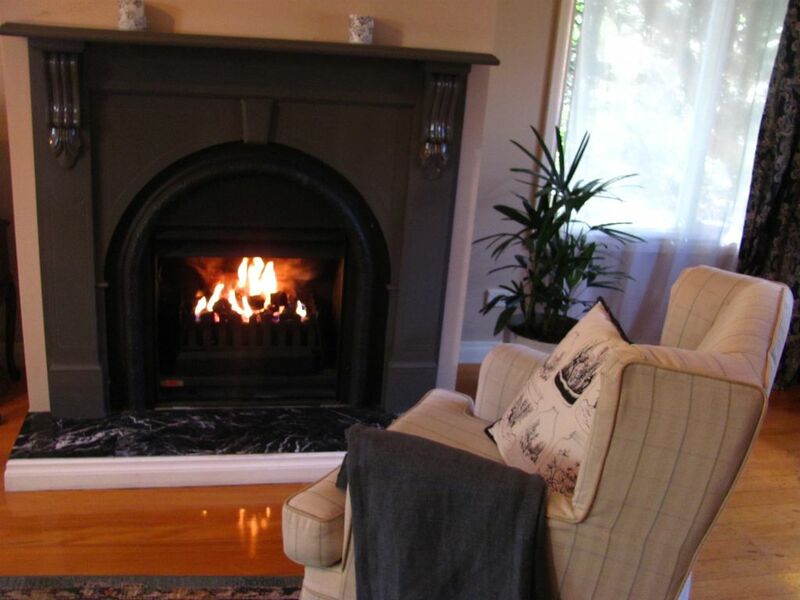 In addition to the open gas fire, both cottages have split-system air-conditioning on each floor to ensure you stay warm. All accommodation is non-smoking and pets are not permitted. Breakfast provisions are provided for all stays in cottages. Cancellation Terms: Deposit may be retained unless the booking is transferred to another date and/or the vacancy is refilled. The Long Table restaurant, Red Hill Epicurean, Newsagent, Post office, Red Hill Baker,Butcher,Red Hill Cellar & Pantry and Art Gallery. Red Hill Estate Winery which includes Max's restaurant. Further on the same road you will find Tuck's Ridge and Montalto Wineries 3km, also the famous Ashcombe Maze 4km. Just before the Frankston Flinders Rd is Pier 10 winery and cellar door. Just a short walk to the Red Hill South village, with a number of restaurants, a bakery, the Cellar & Pantry, a florist, chemist and antiques store. One undercover car space provided on site. Additional cars can be parked on the road. Private kitchenette includes bar fridge, stove top, microwave, toaster and kettle - as well as cookware and utensils. It is also stocked with pantry essentials. Great home right in the heart of wineries. Highly recommend. The cottage was very comfy, cosy and clean. Bed and pillows very comfy. I loved how we could just walk down the road to cafes and small bar that has happy hour every day from 5-6. And the best thing was endota spa was only a short walk as well. Not to mention a zillion wineries with in a short drive. It truely was the best weekend away to recharge from the hustle and bustle of every day work and family life. Highly recommended staying at this beautiful little cottage. The cottage was exactly what we thought it would be. For the price we paid it was great value and an uninterrupted experience. The only thing I would recommend is another gpo near the bed for charging and some wall storage in the bathroom next to the sink. An item to note for some is that the bathroom upstairs offers no privacy for noise so for people who are shy then this can be an issue. We really enjoyed a relaxing weekend in red hill in this cute, clean cottage! Close to everything you need.